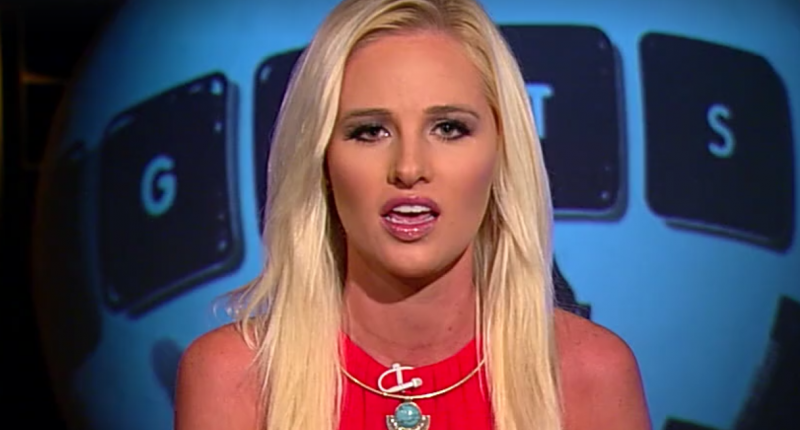 The Blaze has finally made the decision to give Tomi Lahren the boot. After being suspended following her shocking pro-choice comments on The View, Lahren has been axed. There are some who say that this wasn’t just a result of her progressive position on abortion, but was coupled with some behind-the-scenes issues as well. The problem with Lahren had been brewing for some time, however, with some saying she was difficult to work with, making irrational demands of staff, and showing a general disregard for those around her. The bigger problem is that she was thrust into the spotlight based on her millennial appeal, rather than any actual life experience or mooring in principle. She referred to herself as libertarian, a conservative, and a “constitutional,” so basically, anything that sounded cool as a combo, even if it made no sense. Youth and cutesy shtick will only take you so far. At some point, you have to prove yourself grounded, reasoned, and with a basic, working knowledge of where you stand. Lahren is all over the map, declaring that the government “get out of her body” when it comes to the life of unborn children, and it took her to a place her employer, Glenn Beck, was not willing to follow. An article with Page Six is reporting today that the suspension, which was at first said to be for a week, is now for good. You gotta love when someone actually sticks to their principles, regardless of the problems that it is going to bring them.